Are you battle ready? 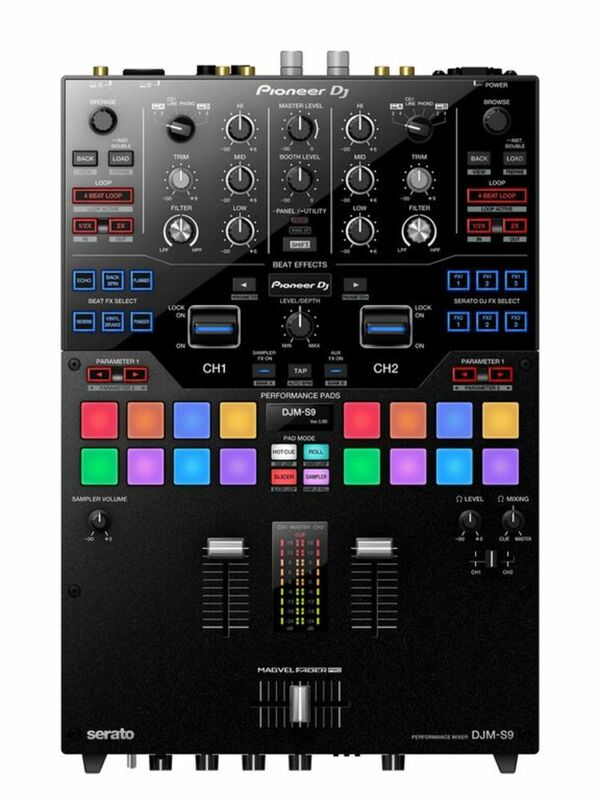 Well with the new Pioneer DJM-S9 DJ Mixer you will be! This feature packed, top of the range mixer has been made to suit every DJ's style, whether you love scratching or using FX buttons to compliment your mixing this Pioneer mixer has got you covered. The new DJM-S9 two-channel mixer for Serato DJ puts the power of personalisation in DJs' hands, with a fast, accurate and customisable crossfader, plus Performance Pads and FX buttons that DJs can map to suit their preferences. 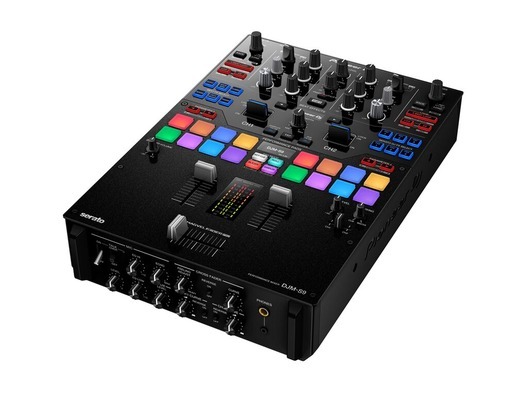 The mixer delivers plug-and-play integration with Serato DJ's four decks and boasts DVS support, on-board Beat FX, two USB sound cards, and a top-loaded input switcher for seamless DJ transitions. The DJM-S9 is built to withstand the most rigorous scratch performances and suit every DJ's style. The proprietary magnetic crossfader is both robust and responsive, with customisable Fader Bumpers, feeling adjust, cut lag and fader curve. The colour-coded Performance Pads give instant access to loops, cues, samples and rolls - or DJs can reconfigure the pads to trigger their favourite Serato DJ functions. Plus DJs can customise the FX buttons and banks to their choice of 55 Serato DJ FX and 15 on-board Beat FX, and manipulate the parameters with a wet/dry dial on each channel. And the FX On/Off lever means they can exit their creative compositions in a flash. The versatile DJM-S9 is at home in any pro-DJ set-up. DVS control means DJs can use CDJs and turntables to control Serato DJ; non-Serato DJ users can access the on-board FX and use the Performance Pads to give tactile performances without the software. Highly responsive operation - The low-latency fader delivers a fast, accurate response, while DJs can change the operational load using the Feeling Adjust dial. Shock-absorbing Fader Bumpers are included in three materials, so DJs can choose the level of resistance they prefer. Robust build for excellent durability - The DJM-S9 is built to last using a contactless, magnetic crossfader and metal shafts that withstand repeated use over a long period without loss of reliability. Configurable Curve and Reverse - DJs can adjust the crossfader's curve characteristics to suit their style and use Reverse to switch the cut lag from the bottom to the top. The DJM-S9 has large Performance Pads that are precision engineered for accuracy and rapid response. DJs can use the sixteen multi-coloured pads - eight on each deck - to trigger and manipulate features including Hot Cue, Roll, Slicer and Loop. Or they can choose to map the pads to other functions within Serato DJ. The organic EL display screen shows what mode is in use, and DJs can allocate pad colours to Hot Cues in Serato DJ for an even stronger visual cue. The DJM-S9 draws on the enduring legacy of the DJM-909 battle mixer to give DJs access to a wealth of high-quality FX. Six Beat FX buttons and six Serato DJ FX buttons, plus two banks, mean DJs have unprecedented choice. 15 on-board Beat FX with added parameter control: Six dedicated buttons trigger the popular Echo, Delay, Reverb, Flanger, Phaser and Trans effects in time with the BPM. DJs can replace these with other on-board Beat FX - and assign six more Beat FX to the second bank. 55 Serato DJ FX: DJs can map the six buttons, plus an additional bank, to their favourite Serato DJ FX powered by iZotope. Filter FX: a high pass/low pass filter on each channel lets DJs manipulate FX; DJs can switch this for other filters and FX, including Dub Echo, Noise and Pitch. Release FX: use the large RMX-1000 style lever to trigger FX briefly, lock them on, or exit arrangements quickly. The DJM-S9 is the ultimate plug-and-play Serato DJ mixer, with two USB sound cards to let two DJs play back-to-back seamlessly. The input switcher is on the top of the mixer, so there's no need to fiddle around at the back of the unit between sets. DJs can switch between all four Serato DJ decks, while DVS support makes the DJM-S9 ideal for Serato DJs who prefer to play using CDJs or turntables. Plus DJs can record direct to the software during performance. 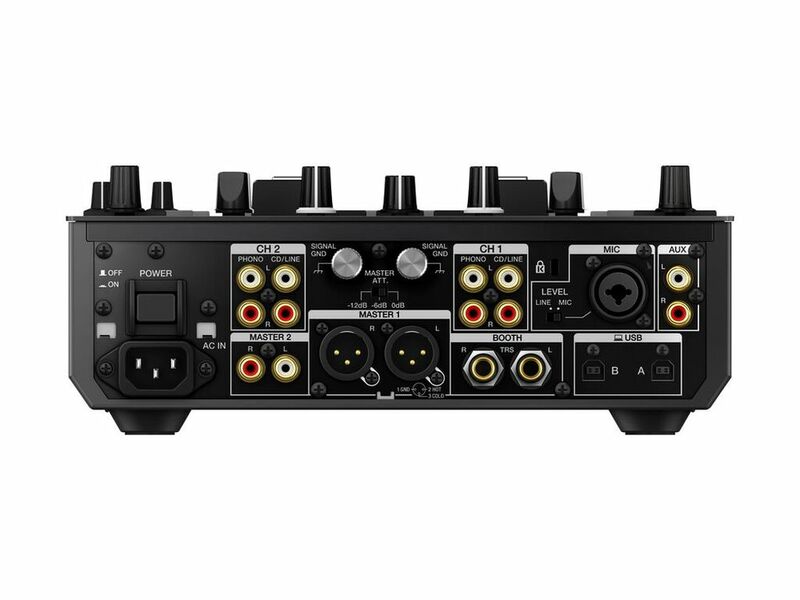 The DJM-S9 inherits its high-quality audio circuitry from Pioneer DJ's flagship DJM-2000NXS. The AC inlet is designed to reduce resistance and deliver the stable sound needed in loud club environments.